I’ve been craving for steamboat for the past two weeks, and the cravings got worst during CNY when the shops were closed and no steamboat ingredients were available. 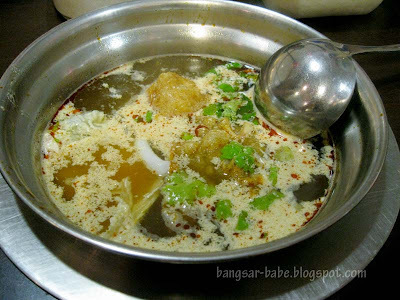 rif isn’t a fan of steamboat so I usually eat it with Shum because we both love steamboat. For some reason, I hardly go to Ikano Power Centre, but Shum kept talking about Ketam Steamboat Restaurant and how good the chilli paste and fried shallots were. Turned out, it was the same branch as the outlet I usually go to in Bandar Menjelara. It was a weekday night and during the CNY period, but the restaurant was packed — we had to wait for a table. 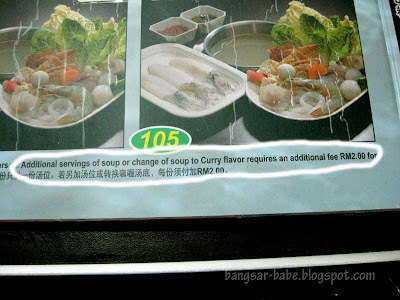 You get an individual pot of soup with a choice of clear, tomyam or curry soup. Great for those who can’t stand the idea of sharing the same communal pot. 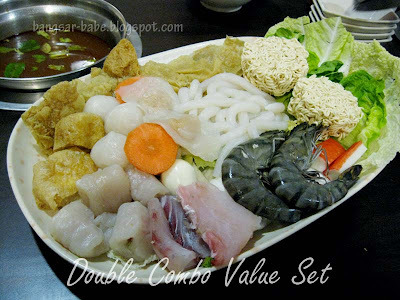 Since rif tagged along, we ordered the Double Combo Value Set (RM32.80) to share. 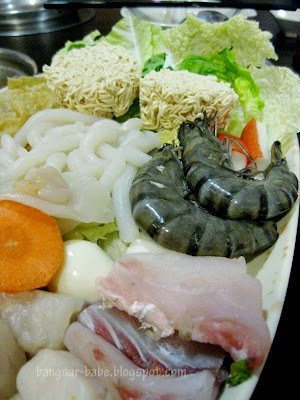 The set came with two prawns, a few measly fishballs, fish noodles, fuchuk, two quail eggs, fish slices, crabsticks, noodles and plenty of vegetables. Shum ordered the ala carte items, which I soon discovered was a better choice. There were some things I didn’t like about the place. Firstly, they gave plenty of vegetables but very, very little ingredients for the combo set. And there were no free soup refills (each soup refill costs RM2), which I thought was ridiculous. I have never come across steamboats that charge for soup refills. That put me off. The chilli sauces (both red and green) packed a punch, and I liked the fried shallots in oil, which gave the soup a nicer flavour. 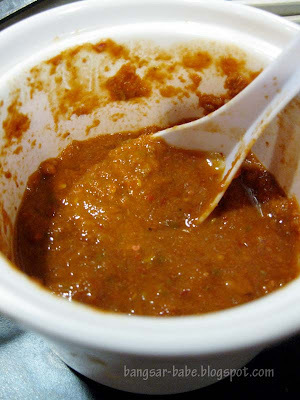 Chilli sauce is very important in a steamboat — it can either make or break the meal. On its own, the tomyam soup wasn’t very good. 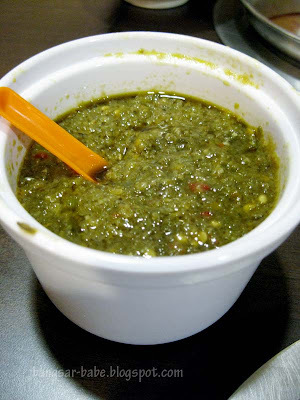 I thought the soup was very watered down but the chilli paste made it thicker and tastier. The ingredients were standard, and the portions were rather small. rif and I kept looking at Shum’s steamboat dishes wishing we had listened to her and ordered ala carte. In general, the food was average and service was disorganised. I don’t think the ingredients are that good, but it is a cheaper alternative for those who want something convenient and reasonable in a shopping mall. Verdict: I might have ordered the wrong items — I didn’t like my food at all. Enjoyed this in Desa Parkcity a few times. really good esp the fish paste. But the chili is explosively hot and spoilt my meal. I avoided it in subsequent visits. i have tried the food there. not bad. the soup refill was free, charging us is indeed ridiculous. I went there once and never returned. I think it's ridiculous to charge for additional soup. After all the soup got evaporated when it's boiling. 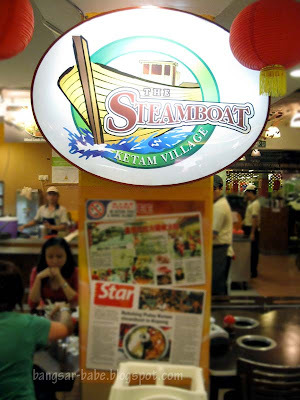 M Ỡ Қ ҝ ¥ – I'd rather go to a proper steamboat place…where you get bigger portions and free refills of soup! worldwindows – Yeah…the chilli can be a bit hot sometimes. Must eat it sparingly. The refill is free. Its just that u have to pay if u are gona order an extra portion of soup. 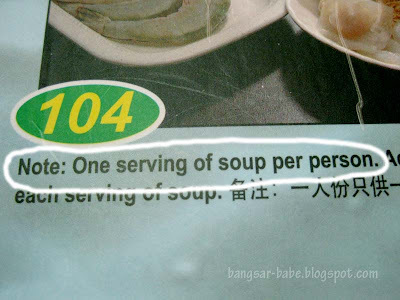 like if u ordered the single set, u wish to share with ppl so u have to order another portion of soup. thats when they charge you. 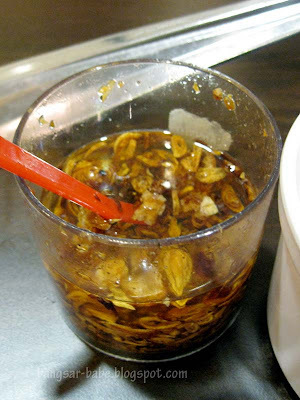 I beg to differ, though, as there's nothing wrong with what I ordered there since I like eating noodles very much. It's just that curry and tom yam are considerably spicier than the spicy food I usually have. End of the story.